Sin City is on the verge of becoming a major solar city. This week, Las Vegas Mayor Carolyn Goodman announced that all publicly owned buildings, infrastructure and utilities would be powered or offset by 100% renewable energy, starting in 2017, the Las Vegas Sun reports. To reach the goal, the city will expand energy efficiency programs, tap into a nearby large-scale solar project, and enter into purchasing agreements with renewable power providers to offset current non-renewable power sources. 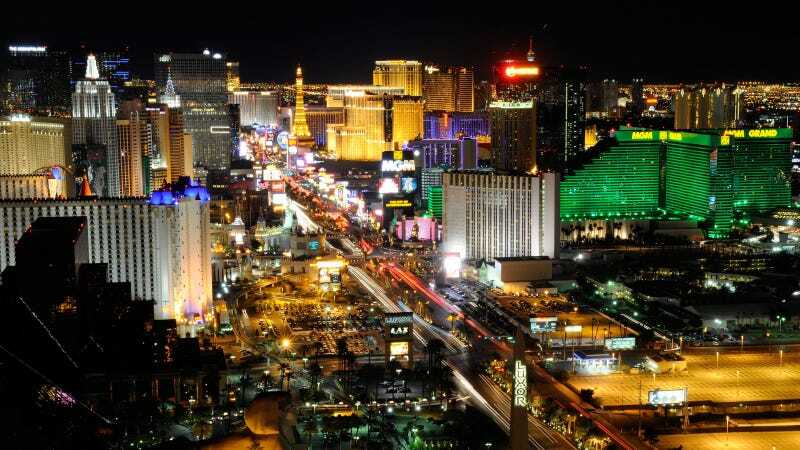 Las Vegas would be at least the fourth U.S. city, and the first of its size, to reach the goal. According to the Denver Post, Aspen became the third U.S. city to reach the 100% threshold earlier this year. The other two cities known to have met it are Burlington, Vermont. and Greensburg, Kansas. Paul Caudill of renewable power provider NV Energy told the Sun's Roerink solar power prices have dropped 50% in recent years. “It’s cheaper than what we could build a new natural gas plant for,” Caudill said. One city leader dismissed concerns about the costs of the program, exact figures for which were not disclosed. “Companies don’t just choose tax climates, they choose cultures,” said Jonas Peterson, CEO of the Las Vegas Global Economic Alliance.